RedBeam RFID Asset Tracking, the RFID edition of the fixed asset tracking software, is a complete fixed asset database with the ability to collect data on RFID-enabled mobile computers. The software includes unlimited RFID reader licenses for compatible mobile computer models. 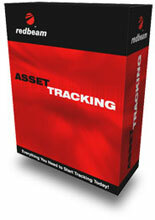 Keep asset records up to date and periodically take a physical inventory of assets. Data fields include RFID tag ID, barcode ID, location, department, maintenance, purchasing, warranty, lease, deprecation, information technology and 50 other user definable fields. The RedBeam RB-RAT-U is also known as Red Beam	RB-RAT-U	or RBRATU	.